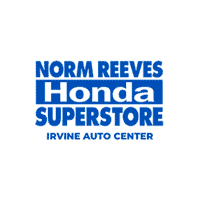 At Norm Reeves Honda Superstore Irvine, our overall goal is to help drivers all throughout Santa Ana, Tustin, and Rancho Santa Margarita find the vehicle that they love that’s at the right price. During your experience of buying your next car, you’ll have plenty of steps to take with research and the test drive, but the last one in line is getting financed. That’s where our finance center comes in! After you’ve browsed your options, found the model, and got the experience behind the wheel, our finance center is here to take care of the rest of the experience. Our financiers can help you get a better sense of your loan options, the differing rates, and term lengths, and the conditions, so you’ve got the full spectrum of your Honda financing options. They’ll even go over Honda lease deals, so you can learn the differences between leasing vs. financing a Honda. When you lease a Honda, you don’t own it, but it’s yours to drive for a few years. The monthly payments are lower and you’ll get to enjoy the performance and mobility for a few years. Once your term is over, you can simply turn in the vehicle, purchase it out of the lease, or lease an entirely new model and enjoy the latest features and technology. However, when you finance, you own the car. You can do whatever you like with it—customizing it and painting it to your liking, and, even selling it when you’re ready for a new car! We want drivers to have a great experience with us for when it’s time to get their vehicle financed. However, you can actually get a head-start on your Honda financing by utilizing some of the tools that we’ve got on our website. Our payment calculator is here to help you get an idea of the payments that you’ll be looking at with the model of your choice. It factors in your down payment, the price of the vehicle, and interest to give you a hint of what your monthly payments will be. You can even fill out our finance application to get the ball rolling with your financing. The information that you put on this form is encrypted, so your personal information stays out of the hands of third parties. Once we’ve got your information, our financiers can start running the numbers and drawing up the paperwork so when you’re at our dealership, your financing experience will be easy and streamlined. When it’s time to start talking numbers, you’ll be happy to know that our financiers are here to help you understand the different aspects of the loan. Once you’ve picked out the right terms, we’ll bounce the numbers off our partnered banks and lenders to come up with a rate and deal that’s right for you and your lifestyle. Once you sign, you’ll be ready to embark on your first journey in your new Honda! At Norm Reeves Honda Superstore Irvine, we’re happy to help drivers in Santa Ana, Tustin, and Rancho Santa Margarita finance their car or take advantage of Honda lease deals!